This week’s storytime was so smelly! I bet you could smell us a mile away! Just kidding…. seriously though, the theme was stinky stuff. The motivation for this theme was the craft. 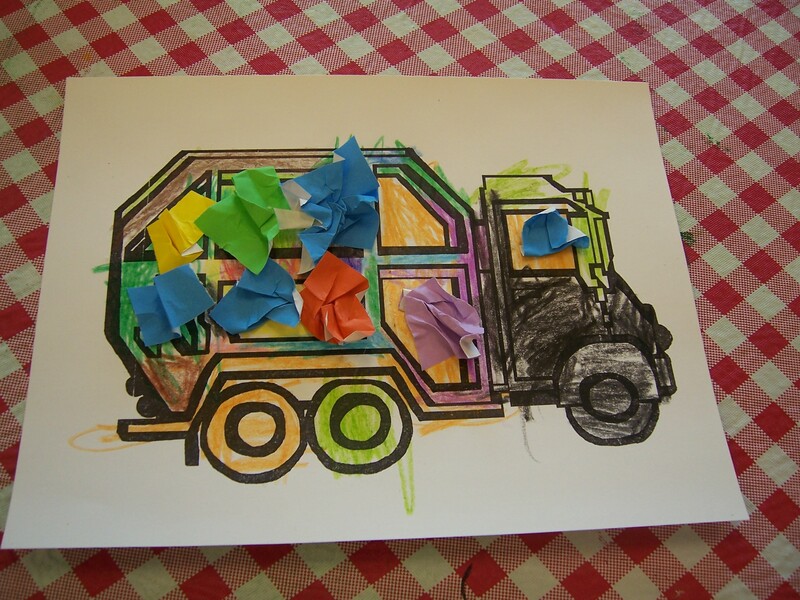 I wanted to do a garbage truck craft because one of my little storytime friends had requested it. After determining the craft I had to think of a good theme to go along with it. Trucks seemed too obvious (although I am sure it would have been just as popular) so stinky it was. In the beginning of the storytime when I announced the theme, I asked the children what they knew of that is stinky. Of course one kid answered “Poo!,” which made everyone else answer “Poo!” Until another kid said “GREEN Poo!” The kids thought it was HILARIOUS and could barely contain themselves. I definitely left myself wide open with that one. Anyway, on to the books. I started out this week with Big Smelly Bear by Britta Teckentrup. This book was a hit! Rarely do I have the undivided attention of every single child in the room. I have no idea what it was about this book, but the kids were definitely in to it! It’s about a bear who refuses to bathe and is very stinky as a result. One day when he gets an itch he can’t reach, he has to take a bath so that Big Fluffy Bear will scratch it. The kids were all so focused on this book, it was unbelievable. I think it might be the huge, beautiful illustrations or the simple story about cleaning up. It led to a nice discussion about taking baths and washing faces. Hardly any of the kids took showers, but everyone’s daddy does! Next we read I Stink! by Kate and Jim McMullen. I don’t think it would be possible to do this theme and leave this book out. It could be the most excellent book about stinking ever. I love this book about the garbage truck who makes the rounds about the city cleaning up all sorts of nasty things and so do the kids. Finally we finished with Little Oink by Amy Krouse Rosenthal and Jen Corace. This is another one of the awesome books by Rosenthal and Corace about a character who wants desperately to do something different from what their parents want. 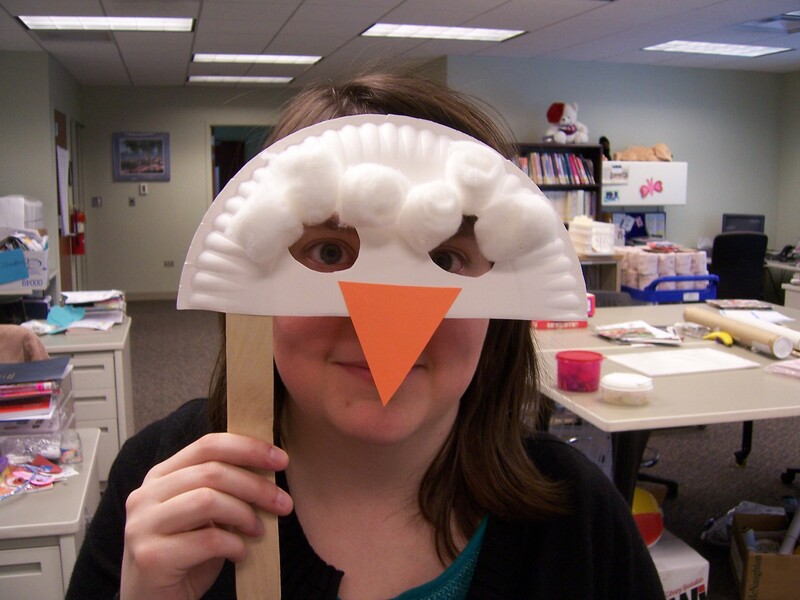 I have read another of their books, Little Pea before in our I’m Hungry storytime and it went over well. This book may have been funnier. It is about a pig who really wants to clean up but his parents make him make a mess. I think the kids really felt the pigs pain although, when asked none of them wanted to clean up! This week there were a few cool extras. 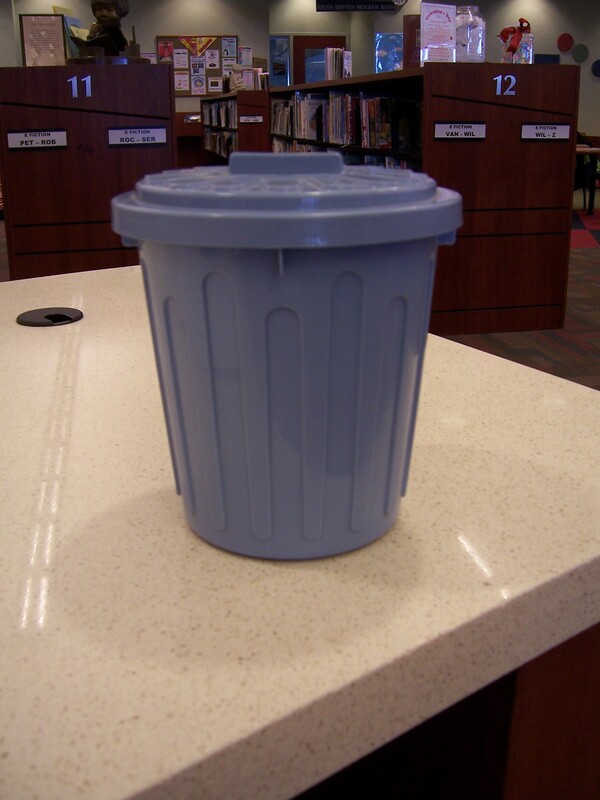 First, my co-worker is an elementary school teacher and she brought in a cute little garbage can for me to use. I filled it up with lots of “garbage” (really it was just random things around our workroom like binder clips, felt shapes, and plastic spoons) and everyone was given one piece of trash to throw away. As an added bonus, I called everyone up using colors they were wearing. The kids always enjoy activities like this, but usually we use the flannel board. I think the garbage can made it more exciting. Pick up garbage, and throw it in the bin! Push it down, and stomp it in! for the garbage trucks to eat. workers lift the cans up high. Garbage falls into the back. Crush it, mash it, smash it flat! Set the cans down with a thump. Now drive that garbage to the dump! I can’t take credit for this awesome picture, it was made by one of the kids. Basically all they did was color in their truck and then glue on crumpled pieces of paper on it. It was very popular and all the kids were very proud of their truck!